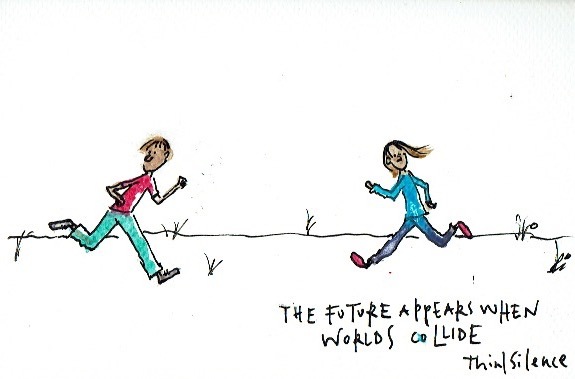 That our worlds are not fixed but are developing is how we are able to move forward together. Our languages and cultures and systems are open. We notice how others have better words to describe things and use them ourselves, they live in fascinatingly rich cultures we want to borrow from, and have developed systems that work better than our own so we import from them. When our worlds collide, there is the exciting possibility of togetherness rather than apartness.